Being a parent, you have to know what and how your child is progressing. This will involve paying the parental role of providing for their basic needs which include education, medical insurance and child care in general. 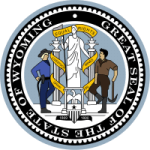 The Wyoming calculator will look into all these basic needs when computing for child support you should pay or receive, if for the custodial parent. Step 2: Enter the details as required and then click the calculate button to compute the share of proportion for each of the parent.